March Madness Upset = Free Pizza! I am no sports fan, but I do oddly enjoy the NCAA Men’s Basketball Championship Tournament. This year won’t be as exciting as in recent years – my alma mater Siena College is not in the tourney – but I’m still looking forward to watching the games and cheering on the underdogs. And you don’t get more underdog-gy (underdoggy? under-doggy?) that those poor unfortunate No. 16-seeds that get pitted against the No. 1-seeds in Round Two (which used to be Round One, but now that they’ve added more teams and play-in games, they had to create a whole new round. They should call it the “Play-In Round” and not Round One. Too confusing. But I digress). There’s never any chance in hell that one of these No. 16-seeds will beat a No. 1-seed (No. 1 seeds are 104-0 all-time against No. 16 seeds), but at least this year Pizza Hut is making it interesting. If by any sort of miracle a No. 16 seed defeats a No. 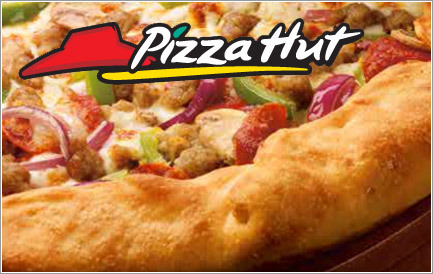 1 seed in the second round, Pizza Hut will be rewarding America with free pizza. I don't even particularly *like* Pizza Hut pizza, but free pizza is free pizza. If the impossible does occur, Pizza Hut will load up its mobile kitchen and embark on a road trip of epic proportions. The Pizza Hut party tour will travel to each of the 48 contiguous states in the United States to hand out free slices of pizza at designated locations. Pizza lovers, basketball junkies, and fans of the “Cinderella Story” can follow along on Twitter by using the hashtag #pizzachampions. So, what are the chances this year? Abysmal, as usual. Going into tonight’s Round Two games, the No. 16-seeds left in the tournament are University of Texas San Antonio (v. Ohio State), Boston University (v. Kansas), Hampton University (who?) ( v. Duke), and University of North Carolina-Asheville (v. Pitt). I’m thinking that none of those teams are likely to pull off an upset, keeping that longstanding record going strong. Thanks for the thought Pizza Hut, but we all know damn well you’re not going to be loading up any pizza tour bus, this or any year. And, even if you did, I’m fairly certain it wouldn’t be traveling anywhere near New York’s Capital Region. So, there’s really no point in me even writing this post, is there? And, for what it’s worth, I did do a bracket. Here’s who I’ve got going to the Final Four: UNC, Kansas, Duke, and Florida. I did not pick any No. 16-seeds to beat any No. 1-seeds (my momma didn’t raise no dummies). I’ve got no money riding on it, but I still think it’s fun to watch the tournament shake out!